I turned 60 this summer – and I’ve been pondering how that feels and what that means to me. Several friends turned 60 also – and we’ve discovered that each of us is thinking about life with more depth, more questions, more sensitivity. I’m more aware of how I have viewed the coming decade from afar. When I was little, I thought of people in their 60’s as being old. And many of them looked old to me. It makes me wonder how I look to children. When I was a teenager, I thought of people in their 60’s as having some interesting things to say, but also being more tired . . . slowing down. I wonder how I look to teenagers now. When I was in my 30’s and raising young children, I thought of people in their 60’s as having lots of parental wisdom, but also thought some of their ideas were outdated. I wonder how I sound to young parents these days. Now that I am 60, I have a greater and more regular appreciation for the gifts of each day – good food, beautiful surroundings, loving family and friends, sustaining work. I am more aware of the gift of my body and its ability to move and be in the world the way I ask it to . . . most of the time. I am more willing to slow down, to try saying no as often as saying yes, and to get clearer about what to include on my bucket list. I feel less tolerant of the ways I have remained silent when I have something to say, because I wasn’t sure how it would be received; and I feel more aware of the ways fear has kept me from being my best, whole self. 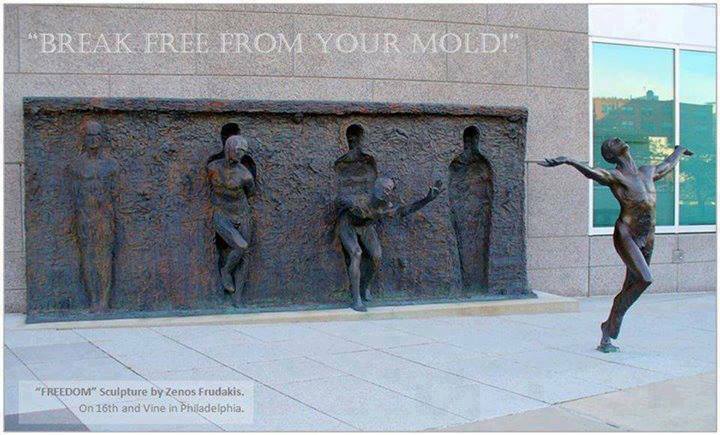 So I am making a commitment to myself to break free from the mold I have fashioned for myself. Oh, it is easy to point away from myself and identify the worldly forces that have created the mold and kept me in it. But that is not really the whole story. I have not fully trusted that when I step out, I will still be loved, still be seen, still be valued. I have not fully appreciated that while I am always loved and seen and valued by God, I have not always loved, seen and valued myself. So I am stepping out . . . and am grateful for all those around me who have helped me to get here . . . at 60. Susie, you put into words so many things of which I have been dimly aware, as I turned 60 this past year, too. Thank you so much!